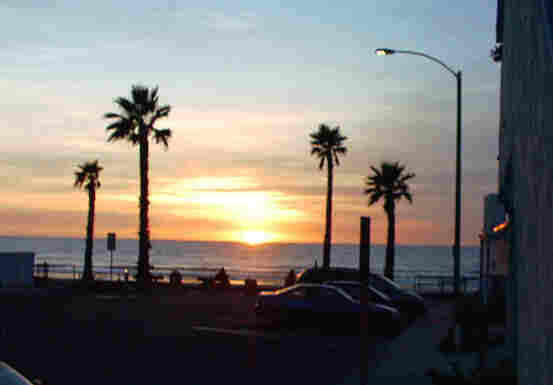 Tijuana, Baja California, MEXICO is on the last northwest corner of Mexico, and south of the border of San Diego, California and the southwest corner of the U.S.A., and goes out to the shores of the Pacific Ocean. Tijuana is an easy daytrip away from the USA from San Diego, California, and has a great variety of attractions to offer from shopping to dining to nightlife! This page has information for a calendar of events, attractions, restaurants, hotels, shopping and transportation in Tijuana. ... or the link from each of the sections below. Thank you for visiting this page and making it so popular! or to Zona Rio and 'Paseo de los Heroes', where you can find beautiful statues and architecture. this way to the bridge over the Tijuana river to downtown. Enjoy a trip to Mexico! a calendar of events & more! Full service CVB, referrals and assistance with meetings, conventions, special events, visitor information, travel writer hosting, destination guides and brochures. 'World renowned as -"the world's most visited border city", Tijuana invites you to discover and enjoy its extensive variety of attractions and activities. We assure you that in Tijuana you will find many interesting and entertaining places, from world-class restaurants, nightclub shows and discotheques to such tourist attractions as bull fights, golf courses, museums, and the Cultural Center. In addition to all of that, you'll find a wealth of Mexican handicrafts, rustic style furniture at attractive prices, clothing and many imported items, including a wide assortment of European perfumes. Take advantage of Tijuana's duty free prices'. LINKS TO MORE SITES WITH TIJUANA VISITOR & TOURIST INFO! Looking for things to do in Tijuana? There are many sides to Tijuana, and a variety of attractions! In the 'Zona Rio' area. the cultural center has a variety of events and attractions for visitors. casino with machines and a variety of gambling!. one in the city, and one on the ocean & border. Tours of the 'L.A. Cetto' winery are available for $2-. 10th Street in downtown Tijuana. While visiting Tijuana you can find a number of events happening around the town. From art & music at the Cultural Center, to festivities in 'Centro' on Revolucion to bullfight at the ocean! *news can be found at the bottom of this calendar! 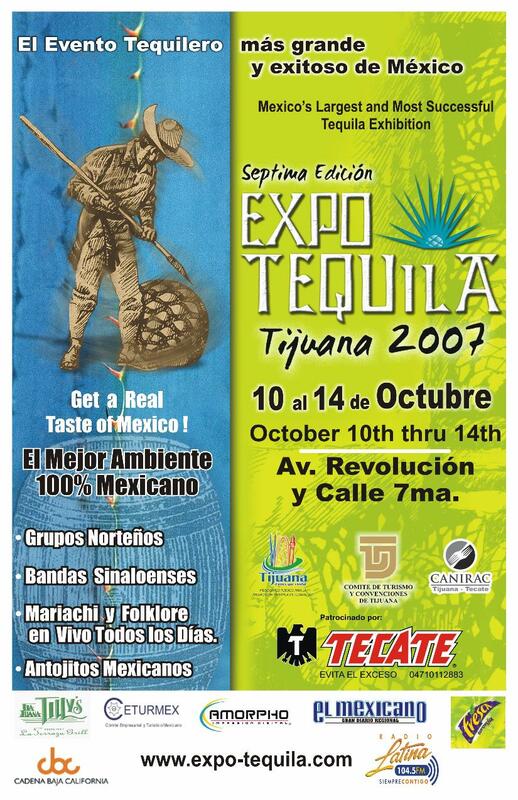 Exhibit in the city of Tijuana in a single space, the wealth of the Mexican Art with a sample of the variety of handicrafts of the main regions of Mexico, where exhibitors and possible national and international buyers can be together generating with this increment of visitors to the city. Misc: Marketplace of touristic locations in Baja California Mexico as well as States of Sonora, Nuevo Leon, Mexico City, Jalisco, Colima and Guerrero.Trade show at the Tijuana Cultural Center on May 19 1 to 5pm.No charge for trade show, bus, lunch and tour. AT AVENIDA REVOLUCION BETWEN 7TH AND 8TH STREET. Canirac invites you along with your family this next Saturday 16th of June will have the V FESTIVAL OF SUSHI from 12:00 p.m. To 6:00 p.m. In the Comercial Center of Pueblo Amigo, Come and taste the great variety of food that offers the Japanese Restaurants The tickets from 2 dollar´s. Will have Wine, Beer and Sodas. Enjoy the best Japanese atmosphere, demonstration and sale of Bonsáis, and there will be Children Area, In the area of the Entertainment will going to have Arabian dance, Polynesia dance, Martial Arts demonstration, and live music. !! FREE ENTRANCE! !V FESTIVAL OF SUSHISATURDAY 16th OF JUNE12:00 p.m. to 6:00 p.m. The Tijuana Beer International Craft Festival scheduled for October 26th to the 28th has been moved to November 9th through the 11th. NEW!!!... NEWS FROM & OF TIJUANA! Looking for things to do in Tijuana? Here are a few ideas and suggestions for you! This new section will give you information and links to more things to do in Tijuana! to upscale and gourmet on the other side of town, to small family cafes on the beach in 'Las Playas'. this landmark can be found in the old 'Jai Alai' Palace. Colorful & open air! Located at the south end of 'Ave. Revolucion'. and the 'Old Wall' where musicians play traditional music. Finished with shopping and dining in Tijuana and now you're looking for some night life in Tijuana? Tijuana has a number and variety of clubs for you! From disco and dance nightclubs to lounges with live music. Just a $3-5- taxi ride from the border, in the 'Plaza Pueblo Amigo'. DJ music and sports on TV. This spot has TVs, pool tables, bar & live music. Across the street from the beach, near the arch, and down the road from the bullring. Tijuana has many hotels for you to chose from, from budget to Five Star! Hotel Lucerna Tijuana is located just 2 blocks from the Plaza Rio Tijuana shopping center, and it is close to the best discotheques and night clubs in town. shopping in Tijuana can include leather belts or handbags, shoes, pottery or ceramics, or your favorite liquor. You can stay on 'Revolucion', or go below street level to some of the underground arcades, or visit other sections of Tijuana for specialties such as statues, pottery or sculpture. This section will have information & locations for the variety of shopping that Tijuana has to offer! Just over the bridge before Ave. Negrete & 2nd St.
or buses and taxis out of Tijuana to Rosarito, Ensenada, Tecate, Mexicali or all the way to Guadalajara! or from Guadalajara on to Mexico City. *prices listed are always subject to change! There are a few companies based in San Diego that offer transport to Tijuana and across the border. There are a number of ways to get out of Tijuana, east toTecate or west and south to the beaches, Rosarito, Ensenada or beyond. There are city buses, taxis or private companies. When you cross the border walk straight ahead 200 yards and you will find a lot full of yellow taxis. Negotiate a price for your destination. After you cross the border, go past the taxis and turn right. There is the bus terminal with local city buses and companies such as Estrellas de Pacifico or A,B,C. There is a terminal for this company just a five minute walk from the border past the taxis. The buses go to Ensenada, Tecate & as far as Guadalajara. or to the edges of Tijuana. This company offers regularly scheduled runs from Tijuana to Rosarito. Coach buses to many destinations in Baja and mainland Mexico. Usually the cheapest taxi in Tijuana,these are small white taxis, with yellow or green 'Libre' on the side. This San Diego based company offers tours to Tijuana. to Rosarito across the street from the Rosarito Beach Hotel. White station wagons with yellow trim., these are shared ride taxis, kind of a shuttle from Tijuana to Rosarito. Near the big arch at 2nd & Madero. Airport Taxis - Transporte Terrestre better known as "taxis aeropuerto" was the first cab company in Tijuana's International Airport and has been operating since 1963. This private charter bus company, with offices in Tijuana and San Diego, can customize transport for groups going to Mexico. Click the Volaris logo for info on transport from San Diego to the Tijuana airport! Tijuana can be divided into a number of neighboorhoods or 'Barrios'or 'Colonias' such as Colonia Libertad. These neighborhoods stretch from downtown to Zona Rio, east out into the hillsides of Tijuana, or west into the canyon neighborhoods leading to 'las Playas', or the beaches of Tijuana. 'Centro' Tijuana is where the famous 'Revolution Avenue' or 'Avenida Revolucion' is located. 'Zona Rio' or the River, is where modern Tijuana can be found with top restaurants and shopping. 'Agua Caliente' is where you can find Greyhound racing and gambling action, along with golfing. This Plaza has a number of hotels, restaurants and nightclubs. This area near Zona Rio can offer a variety of restaurants and clubs. Near the Cultural Center on Paseo de los Heroes. This area of Tijuana is east of downtown and uphill and near the Tijuana International Airport. From San Diego Freeways '5' or '805' South you can take Highway '905' to this border crossing. LA MESA- Main bus station.